Nicole Mandeville is the Senior Program Manager at the Illinois Department of Veterans Affairs. 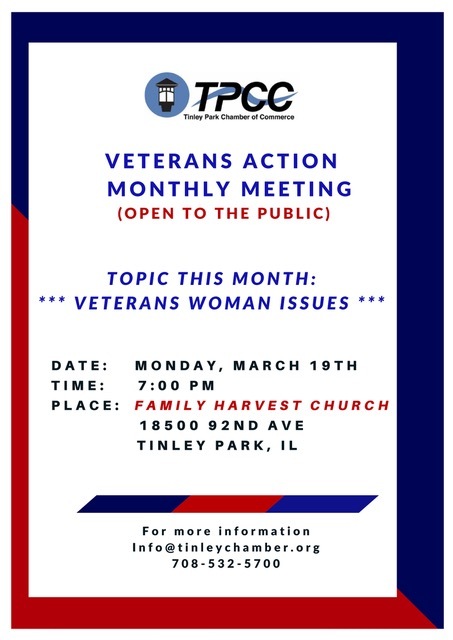 Nicole serves as an advocate and change agent for Woman Veterans and the entire service members (veterans and military family community) her primary role is to identify, establish and manage strategic partnerships and resources for the veterans community in the State of Illinois. Rochelle Crump, MS CED is the President/Founder of the Army Veteran (WAC) National Women Veterans United (NWVU). NWVU’s mission is to advocate, educate and bond with all women veterans with special emphasis on women returning from deployment; to ensure they are connected to appropriate direct services and resources for readjustment and coping skills as they return to employment, school and family. Oluwatoyin Hines, MA, MS, LPC, AMFT, NCC is a licensed professional counselor. She has more than 21 years of military service and currently serves in the Illinois National Guard as a Chaplain. As Brigade Chaplain, Hines provides supervision to the Brigade Unit Ministry Teams; advises Command on religious support, morale and ethics; offers guidance in strategic operations and religious support planning; conduct religious services and provides pastoral counseling support.